Responsive Lightbox but Lightbox didn’t work. No idea what is going wrong. You can click on Image Details and set Link to “Media File” or you could go to Advanced Options and add lightbox to Link Rel field. I set the link I added “lightbox” to Link Rel. So it seems to be a Problem. Any idea how to solve? 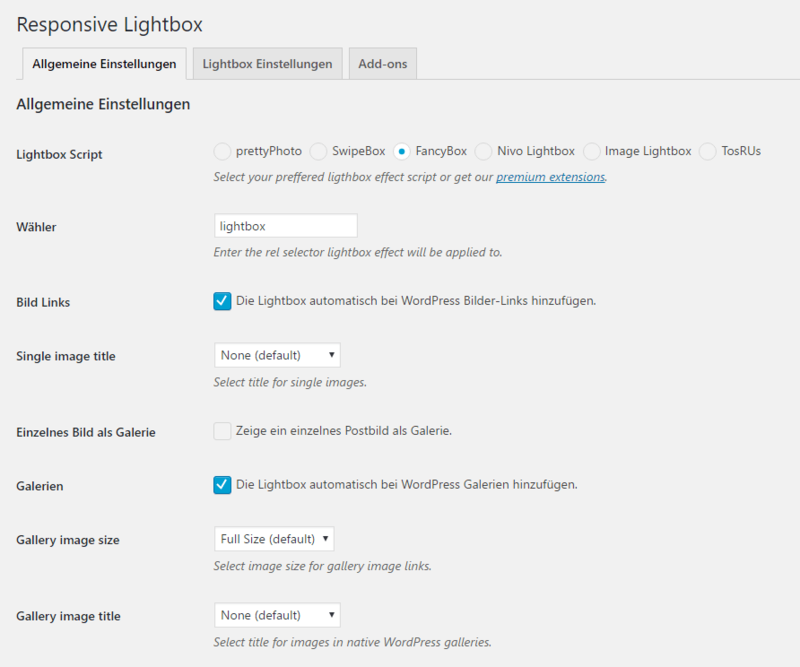 The problem is related to share functionality, not lightbox by dFactory. Here is an example of a clickable image using lightbox, so this tells me it’s not a technical problem. 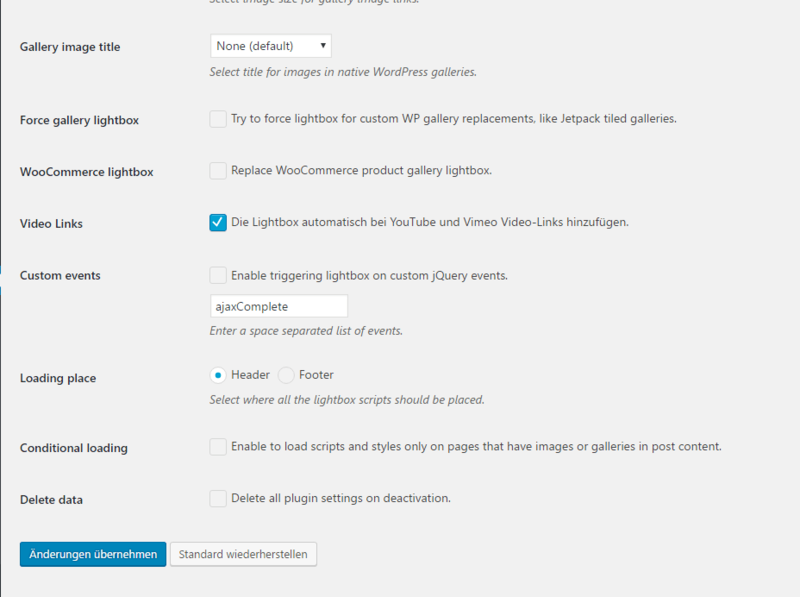 Are you using any gallery plugins or anything else other than WordPress gallery? If so, you might need to contact the plugin developer to make some changes to the gallery plugin. is an Event created with “The Events Calendar” anf that works fine. But using normal Posts or wp Gallery it did not work. Maybe The Events Calendar is using another FancyBox script other than dFactory Responsive Lightbox. Will you please go to Dashboard > Settings > Responsive Lightbox > General Settings and tell me what settings you are using? Check everything except the last two checkboxes. Please make sure you clear both WordPress and browser cache afterward. i cleared the browser cach but how should I clear the WordPress cache? I did not use any cache plugin. the Template Global Settings and now it is working fine. The topic ‘Lightbox not working on posts’ is closed to new replies.